University of Alberta professors apply for vice-chancellor’s job in clever, educational stunt. 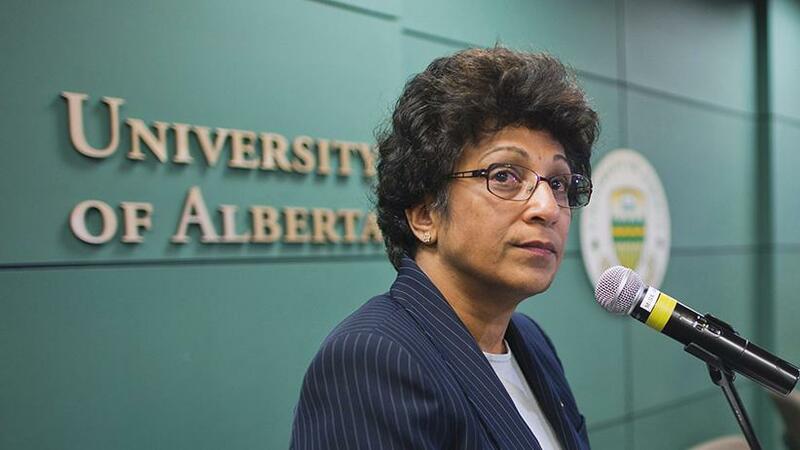 The current president and vice-chancellor of the University of Alberta, Indira Samarasekera, is leaving next summer. * This means that her job, which pays at least 400,000 Canadian dollars (about $368,500), is up for grabs. I’m sure the search committee expected a lot of top talent in the application pool—but they probably didn’t expect 56 Canadian academics, fed up with a highly paid administration in the face of country-wide “austerity” measures, applying for Samarasekera’s job in groups of four. The elaborate and serious joke—an HR performance piece, if you will, that would also happen to have spectacular results if it actually worked—is the brainchild of Dalhousie University professor Kathleen Cawsey and three friends, a Gang of Four whose pointed (and hilarious) cover letter has become a Canadian media cause célèbre. The stunt comes on the heels of recent revelations that some of the United States’ highest-paid college presidents also oversaw some of the biggest increases in student debt (and, in some cases, increased hiring of low-paid adjunct faculty). Most notoriously, E. Gordon Gee received a nearly $6 million retirement package when he “retired” in disgrace from Ohio State University. (Don’t feel too bad for him, though.) If Gee had selflessly capped his buyout at, say, a meager $1 million, the university could have offered $10,000 scholarships to 500 additional students (or hired 100 new faculty at $50,000 each, give or take). Hot on Gee’s heels is James Milliken, chancellor of the CUNY system, who can now draft emails about that pesky adjunct rebellion in supreme comfort from his free $18,000-a-month apartment. Cawsey and her colleagues decided they’d skewer the University of Alberta’s comparatively modest participation in the top-heavy university economy, and have a few laughs while they were at it. Correction, June 17, 2014: This post originally misstated that Samarasekera was leaving her position this year. She is leaving next year.